One of Pieter Breugal's most memorable paintings is Het Luilekkerland, known in English as The Land of Cockaigne. It portrays a mystical landscape full of wonderful foods. A pig runs by ready to eat, a knife stuck in its back. An egg walks past on tiny legs, a spoon already inside. A nearby house is roofed with tarts and the fence is made from sausages. 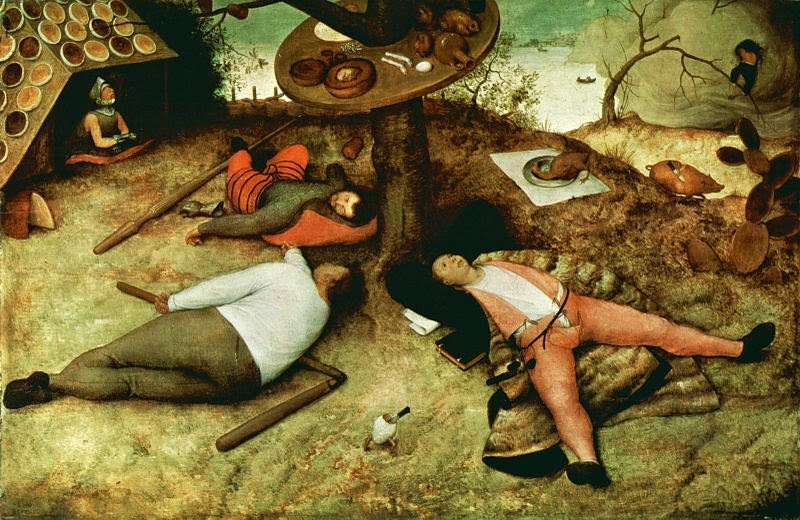 Three figures lie on the floor stuffed with the food that exists in vast quantities around them. In Omasius Gorgut's book we discover that these motifs are often repeated in poems and songs that originate across much of medieval Europe. This shouldn't be a surprise of course; for the peasants who made up the majority of feudal society, hunger and food shortages were a regular reality. It is no surprise that the serfs dreamed of a land of laziness, abundant food and lacking in work. Of such joy and endless bliss. It isn't simply food though. There's neither flea nor fly nor louse. It is not hard to understand why serfs and peasants might tell these rhymes to each other! Gorgut's short book explores these myths, though the author sees them as far more than idle dreams. In his view they are part of a long tradition of rebellion and resistance that exists below the surface of medieval history. For in these poems, the dreams and aspirations of the poorest class are writ large, and often they contradict (or can be contrasted to) the official Utopia - the Christian heaven, portrayed as dull and boring. "The Church was constantly fighting a battle... it had to walk a fine line: the promise of a better egalitarian future under Jesus was necessary to keep people from rebellion, but just the concept of such a perfect existence was a clarion call to people ravaged by famine and disease, ground down by poverty." So the various poems and songs (many of which are reprinted here in the appendices) were part of that tradition of rebellion and may well have been used to inspire, in the way that John Ball's sermons and prayers did for the Peasants Revolts. Gorgut brings the story up to date. The words of Cockaigne clearly were passed down from generation to generation. While the carnivals were ended and the celebrations became more controlled, that there are clear similarities between medieval poems and more recent poems, ballads and songs demonstrates that the dreams didn't die. Gorgut's book is excellent both at telling the story of the various versions of these poems. But also at examining the individuals linked with them and the wider social changes taking place. The author also looks at other contemporary analyses of the myth of Cockaigne, finding them useful, but wanting. The editors point out, and I have to agree, that Gorgut fails to explain the role of women in these visions. They are all to frequently portrayed as playthings for men, or at least having no objection to male advances. Apparently a later edition of the book will tackle this question. This is a very useful book for those that want to understand the hidden history, far from that of Kings and Queens, of European feudalism. There are some surprising insights in Keith Thomas' study of how English attitudes to nature changed over time. One of them is that the rise of the "cult" of roast beef in England only took place as the animal's role as a working animal declined. There are many similar examples; people would happily eat particular animals or birds in one century, considered them beyond edible a few years later. Flew to thy house, as to the Ark. This sometimes leads to ideas that seem laughable today. A preacher in 1696 claimed that "Camels... had sensibly been allotted to Arabia, and savage beasts 'sent to deserts, where they may do less harm'. It was a sign of God's providence that fierce animals were less prolific than domestic ones... usually coming out only at night when men were in bed." Certainly a case of putting the cart before the horse. Those that argued that humans themselves where animals, "remained a minority" until the 19th century. But as the 19th century drew closer there was growing recognition that some animals "did not fall short of man". Keith Thomas notes throughout the work how even in the earliest period covered people were aware of the intelligence of animals, their skills and often attributed human-like qualities to them. In 1679, it was noted "That there are some footsteps of reason, some strictures and emissions of ratiocination in the actions of some brutes, is too vulgarly known and too commonly granted to be doubted." This changing awareness and understanding of nature was partly scientific, but it was also ideological. As the world changed, so did attitudes to the world. Sometimes this was forced upon people, as when in the early days of capitalism, private property in nature was enforced by the enclosures and anti-poaching laws. These sometimes had wider changes. Thomas notes for instance that enclosures helped led to the decline of the sport of the feudal aristocracy, hawking. Hunting plays a big part in Thomas' story. Partly because it is one aspect of human relationships to animals that is frequently documented. Sometimes in the journals of feudal lords, sometimes in parliamentary acts designed to restrict the practise. 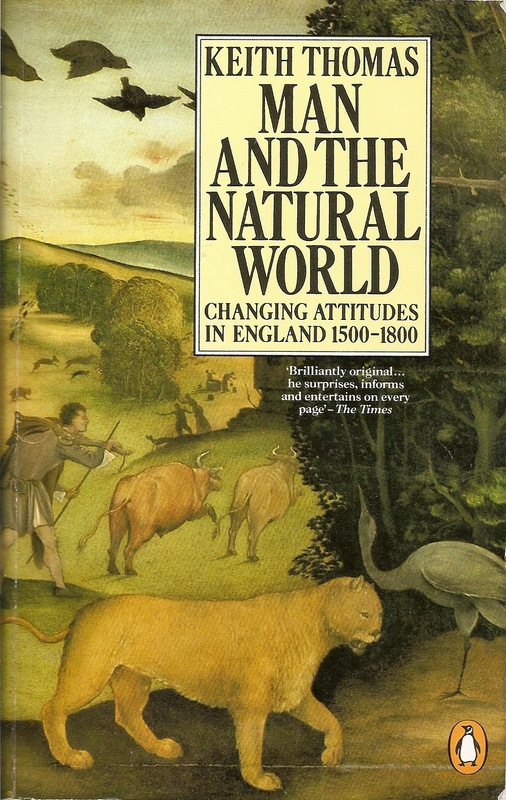 Thomas argues that with the development of industrialisation there was a corresponding change in attitudes to animals and nature. The beginnings of the early movements against animal cruelty can be dated to this period, and were frequently associated with wider social demands. Most fascinating of all, Thomas also notes that changing attitudes to nature were also noted in the landscape. Before 1700 mountains were considered "distasteful", described as "warts" or "boils". But, Thomas argues, with the increased rural changes associated with the expansion of cultivation which regulated and created a more uniform countryside, the wildness of mountains began to be sought and appreciated. Keith Thomas' book is a unique and detailed book. While full of fascinating information, I felt at times that it failed quite to explain why people's attitudes towards nature changed. 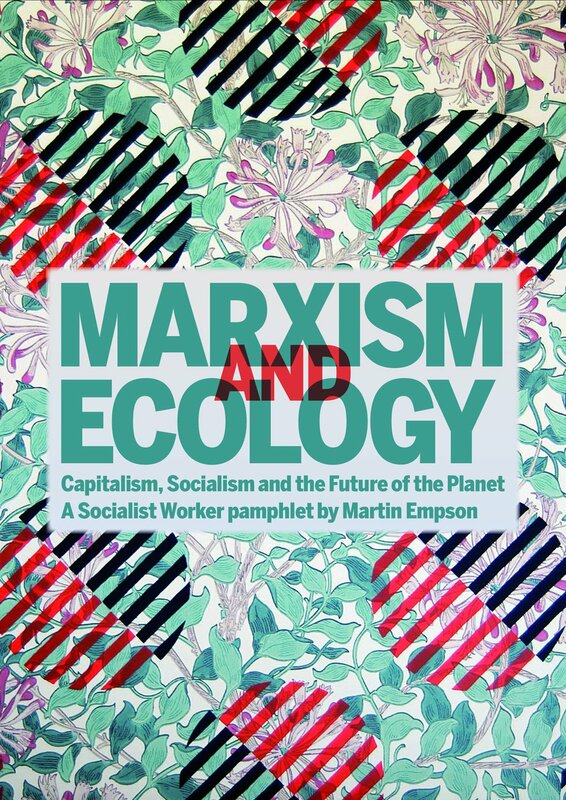 In particular I think it should have drawn out how, with the development of capitalism, nature became increasingly a commodity and people related to it as they did to other commodities through its exchange value. Thomas doesn't neglect this aspect, but it is downplayed. Nonetheless this criticism shouldn't prevent anyone from reading this entertaining, important and fascinating work of history. I am very surprised that it has taken me this long to discover and read this truly unusual science fiction novel. Perhaps this is because I read the original short-story back in New Writings in SF number 22 (Yeah, I'm sure you all have it on your shelves too) and subconsciously crossed it off the list. What ever the reason I'm glad I discovered it, because it opens up a whole new authors works to me. Inverted World is based around a single city known as Earth. The city moves forward, towards an 'optimum'. Its movement isn't constant because it must navigate around mountains and across rivers. The city's workers must also constantly lay tracks in front of the city, removing them as the city crosses. This idea of a constantly moving city is not uncommon in science fiction. Both China Mieville and Iain M. Banks played with the idea. The difference in Priests' excellent world is the political and economic structure that forms the real basis to the story. In particular the city's guild system into which the inhabitants fit, and which serves to keep the city working, moving and functioning. The guilds maintain order but they also maintain secrecy. Only a few of the city's inhabitants understand why the city must keep moving, or the reality of what is outside. Explaining that would ruin the story, and indeed the excellent ending. Though it is worth noting that the world that Christopher Priest has created is unique and very clever. But what makes the novel is what happens as the guild system begins to break down. The reasons for this are complex, but the question of population crisis, food and resource shortages and the role of the city in the wider role all play their part. Priest's novel is also unusual for 70s science fiction in having some excellent strong female roles. The ending is also very well done, though those who have read the original short story (all seven of you) should note that it is very different, and the novel is infinitely improved in style, characters and editing. 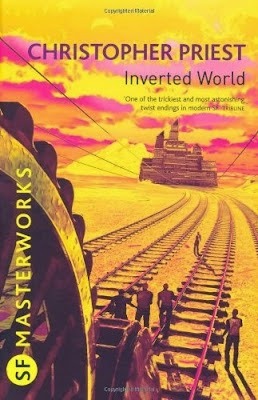 If you like SF and you like a clever idea (and you also like urban rebellion against authority, for that too plays a key role) then read Inverted World. 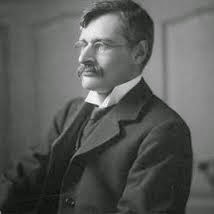 George Macaulay Trevelyan's English Social History is a classic work. Finished in the years leading up to World War Two it reflects the time in which it was written. By its very nature it is a sweeping history, so sometimes it misses detail in favour of general statements and broad assessments. 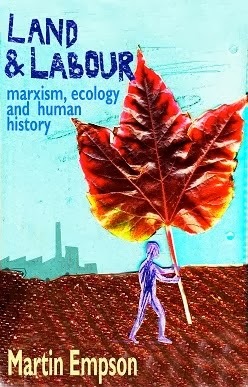 While it is a social history, it is not socialist history, nor even history from below. By social, Trevelyan seems to mean anything that effects the broadest social structure and practice of everyday life. This means he is as happy to talk about kings and queens, as he is about ploughmen and factory workers. One of the weaknesses though, is that Trevelyan concentrates on the former at the expense of the later. The reader will quickly note that many chapters are named after the era of particular great men. "The Puritan Revolution and the Restoration were social as well as political events. But, on the whole, social change moves like an underground river, obeying its own laws or those of economic change, rather than following the direction of political happenings that move on the surface of life. Politics are the outcome rather than the cause of social change. A new king, a new Prime Minster, a new Parliament often marks a new epoch in politics, but seldom in the life of the people." "Village cricket spread fast through the land. In those days before it became scientific, cricket was the best game in the world to watch, with its rapid sequence of amusing incidents, each ball a potential crisis! Squire, farmer, blacksmith and labourer with their women and children came to see the fun, were at ease together and happy all the summer afternoon. If the French noblesse had been capable of playing cricket with their peasants, their chateaux would never have been burnt." Such sweeping (and ridiculous) claims would, it seem, at first to mean that this book has no value to the student of history. But I would suggest the opposite. Firstly, while Trevelyan reflects the opinions of a particular class he is also an extremely knowledgeable, readable and entertaining writer. The book is filled with figures, poetry and source material that will help the reader get an excellent over-view of English history and its key periods. But this aside, the reader of English Social History is constantly reminded of Trevelyan's main thesis. 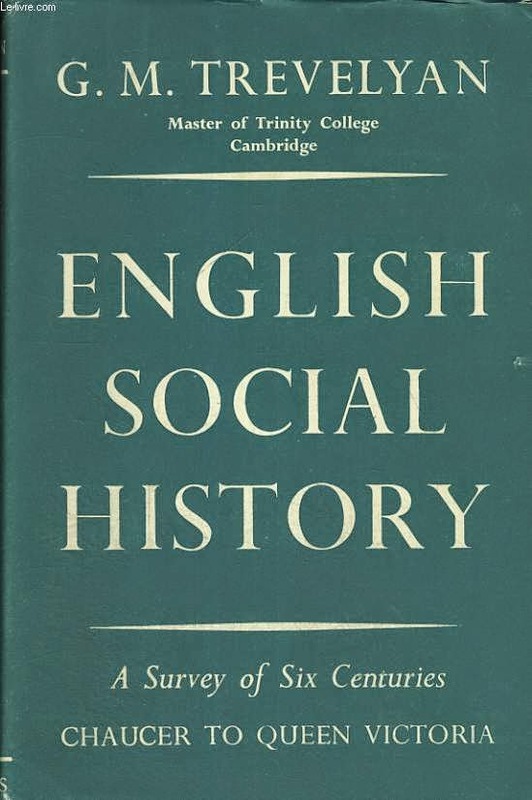 For the author English history has been one of a long, gradual development until the 20th century. And the pinnacle of this history was threatened by German Fascism. While Trevelyan is too honest a historian to pretend that there haven't been periods when ordinary people have been poor, or the ruling class engaged in repression, the general historical trend has been one of progress and economic improvement. This is Trevelyan suggests because it just wouldn't be English to do anything else. "The worst horrors of failure, of unemployment and of unprovided old age were not suffered by the poor in England to the same extent as in the continental countries... The scandal and danger of such congregations had alarmed the Tudor and Stuart governments; the Poor Law was meant to prevent them, and did prevent them... That is one reason why there was never anything like the French Revolution in our country and why through all our political religious and social feuds from the 16th to the 19th centuries, the quiet and orderly habits of the people, even in times of distress, continued upon the whole as a national characteristic." "The harsh discipline of the strike and lock-out taught the two parties to respect each others strength and understand the value of fair negotiation." It is almost as if strikes, protest and workers' movements achieved nothing at all - perhaps the vote, trade union rights, the right to strike, or improved pay and conditions, came only through negotiation? Indeed so good has been the development of English capitalism and the associated military strength, that Trevelyan sees its benefits spread across the globe. "On the whole our supremacy in the oceans and along the shores of the world was used in the nineteenth century on the side of peace, goodwill and freedom. If it were to be destroyed, mankind would breathe a harsher air"
This will have been news to those who suffered in the colonies, as their economies were geared towards making profits English capitalists. But this last quote betrays the purpose of his book. England is, in this authors' view, uniquely positioned because of its national character, and its history, to bring justice and democracy to the world. 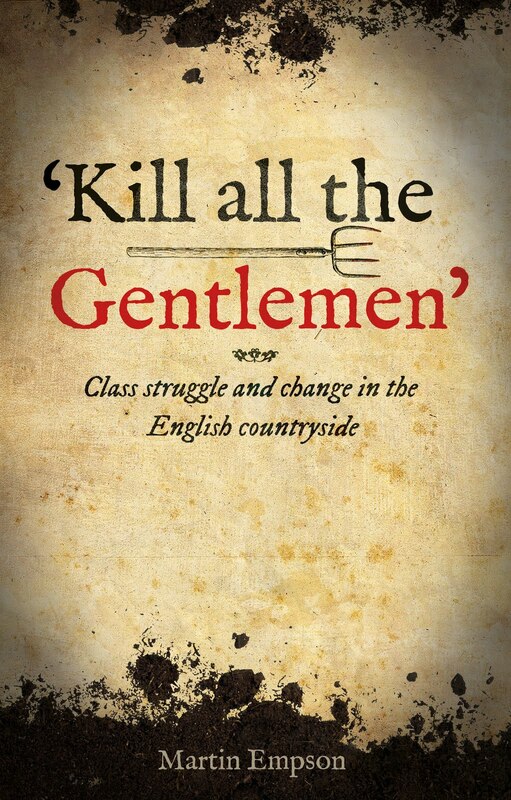 As the book was published, this was under-threat, and everyone had to rally to the English flag to protect England's uniqueness and prevent the world breathing a harsher air. That English capitalism had been polluting the air of millions of people in the name of profit and the free-market for decades is lost on Trevelyan. History isn't as simple as Trevelyan thought, and England certainly wasn't as unique as he dreamed. So while there is much in this book that modern readers will find useful and enjoyable, it is also sadly flawed. A few years ago someone produced a red t-shirt in the style of a star trek uniform, the word expendable written across the chest. The running joke about the life expectancy of a "redshirt" on an away team mission with Star Trek's stars is an old one. John Scalzi has turned it into a wonderfully comic novel that is far more than this single joke. There are plenty of nods towards those who know their Star Trek, in-jokes abound, but this novel is far more than that. The story centres on a group of new arrivals on the star-ship Intrepid whose mission is to explore the galaxy. Quickly they realise that there is something strange going on, and as the older hands vanish everytime the captain comes looking for people to join them on a mission planet-side, the gradually realise that the Intrepid has one the highest casualty rates of any spaceship in history. Eventually they come to understand that they are characters in a television piece and concoct their own mission to sort things out. Now if that was all there was to the novel, it would still be an entertaining read. 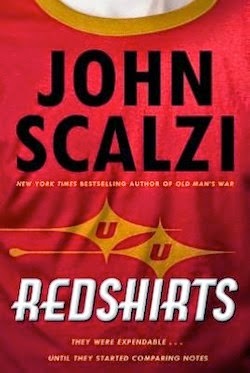 But in three codas to the book, John Scalzi explores further the consequences of a group of fictional characters becoming real. These fictional explorations of the nature of fiction, characters, life and love, turn a comic novel into a science fiction classic. One that deserves to be read far more widely than those who love Star Trek. 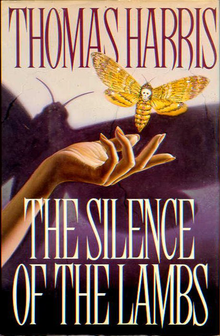 Over a quarter of a century after it was first published, and despite repeated re-readings, Silence of the Lambs still has the power to grip and shock. Its not simply that the character of Hannibal Lecter is so horrible, its the way the author interweaves multiple story-lines into each other. Lecter is horrific of course, but he is also fascinating and Harris' portrayal of what shaped him gives a solid foundation to the serial killer. Two other characters stand out. Clarice Starling of course, brilliantly portrayed in the film, but here far more naive than Jodie Foster's character. Jack Crawford is also superbly drawn, personifying the FBI, not afraid to use Starling to the advantage of the FBI, but also tortured by his own personal situation. Reams of paper have been written about this book. There's little purpose to writing more - it is one of the greatest novels ever written about a serial killer. Horrific at times, painful even, but with unexpected depths. Worth the read. David W. Anthony has produced an important, stimulating and very detailed book. It is likely, for those interested in the origins of language and the archaeology of early communities in eastern Europe, to be a standard work for many years to come. Anthony begins by looking at where language comes from, and how languages change. By knowing a language at a particularly point in history, we can trace it backwards, recreating its predecessors, and in turn, using this discovered language to find further insights to its ancient speakers. Some linguists remain skeptical, arguing that there are too many generalisations and too many unanswered questions. But Anthony makes a very strong case that we can, and have, reconstructed key parts of the Proto Indo European (PIE) language that is the far predecessor of most of the key European and Asian languages that exist today. "If we cannot regard reconstructed Proto-Indo-European as literally 'real', it is at least a close approximation of a prehistoric reality." Since PIE was never written down, we can never know for sure. But one test is that work on PIE has lead to the reconstruction of further words in languages that developed from it. These have since been confirmed by archaeological evidence. The discussion on language is merely the introduction to a much larger work. Having constructed PIE, the author then discusses the people who spoke it. How and where they lived. We can tell from the language something about them, they had cattle, sheep, pigs and most importantly horses. They lived in an area were the wildlife included otters, beaver, wolf and bees. The biggest clue appears to be the words in PIE for wheeled vehicles and their component parts. Archaeology gives us accurate dates for the development of the wheel which mean that "late Proto-Indo-European was spoken after about 4000-3500 BCE", so PIE spread outwards into Europe into a landscape densely populated by people speaking "hundreds" of different languages, most of them farming. Once Anthony has narrowed down the geographic area of the PIE speakers (which is roughly that of the Eurasian Steppes, north of the Black Sea) much of the remainder of the book is a detailed explanation of what we know about the various communities. These is heavily archaeological and in places becomes reduced to lists of the contents of various burial sites in such detail that the wider historical story is obscured somewhat. The non-specialist such as myself may find this confusing, but we can be distracted by the many maps, photographs and line drawings of graves and grave-goods. Having said that, the book is worth sticking with. Some of the sections are real gems. I was particularly taken by the chapter that details the archaeology of ancient horses. The author has spent years studying the effects of bits upon horse teeth. With this knowledge he can try to say from animals remains which communities had domesticated the horse for riding (or use in chariots) and which hunted the animal for food. I was also taken by the description of the nomadic communities of wagon based pastrolists, whose economies involved groups of people who farmed and mined metal ores, as well as those moving about the steppes herding animals. In places this book isn't an easy read. There is overwhelming detail in places, and this sometimes obscures the bigger picture. It will be an excellent resource for students of archaeology, and not just those interested in Eastern Europe. For the layman, there are plenty of fascinating nuggets and a general approach to history, language and archaeology that is well worth reading.